AccurioPro Label Impose has been shown for the first time and with great success at the drupa 2016 in Düsseldorf. Meanwhile, the software has been officially released and has been available for a few months now at Konica Minolta. It is high time for having a closer look at the software tool. 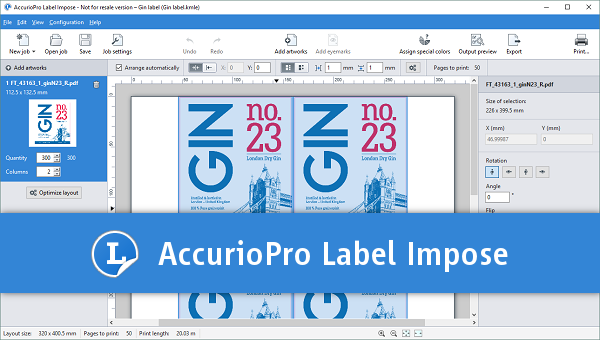 AccurioPro Label Impose is a tool for the fast and efficient imposition of labels. It has been specially developed for the new label printer from Konica Minolta: bizhub PRESS C71cf.